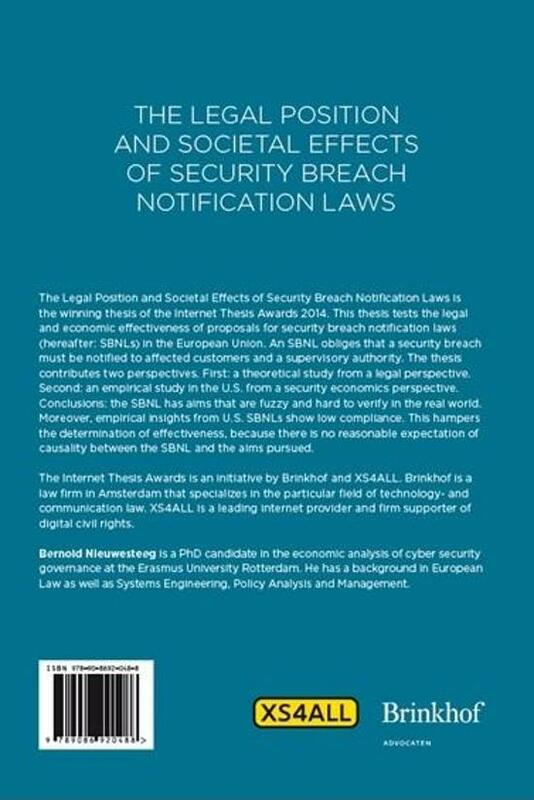 The Legal Position and Societal Effects of Security Breach Notication Laws is the winning thesis of the Internet Thesis Awards 2014. 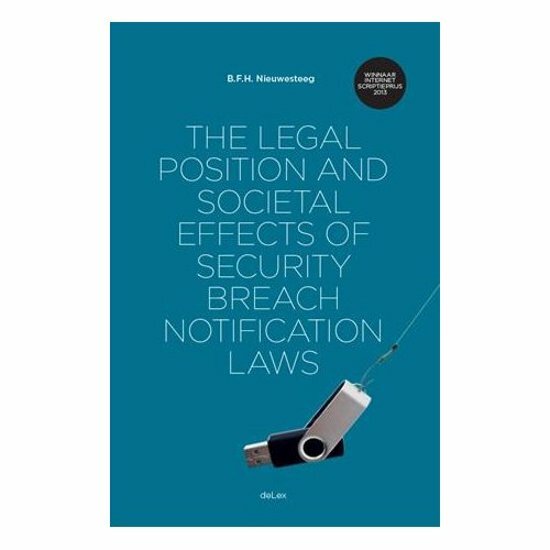 This thesis tests the legal and economic effectiveness of proposals for security breach notication laws (hereafter: SBNLs) in the European Union. An SBNL obliges that a security breach must be notied to a¬ffected customers and a supervisory authority. The thesis contributes two perspectives. First: a theoretical study from a legal perspective. Second: an empirical study in the U.S. from a security economics perspective. Conclusions: the SBNL has aims that are fuzzy and hard to verify in the real world. Moreover, empirical insights from U.S. SBNLs show low compliance. This hampers the determination of effectiveness, because there is no reasonable expectation of causality between the SBNL and the aims pursued. The Internet Thesis Awards is an initiative by Brinkhof and XS4ALL. Brinkhof is a law firm in Amsterdam that specializes in the particular field of technology- and communication law. XS4ALL is a leading internet provider and firm supporter of digital civil rights. Bernold Nieuwesteeg is a PhD candidate in the economic analysis of cyber security governance at the Erasmus University Rotterdam. He has a background in European Law as well as Systems Engineering, Policy Analysis and Management.